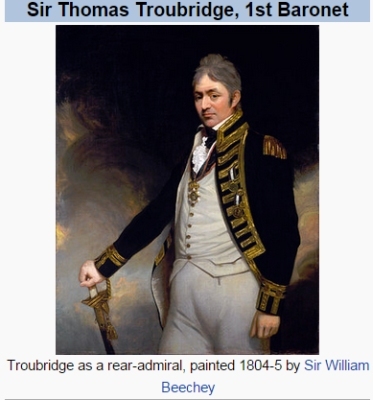 Admiral Sir Thomas Troubridge, 1st Bt. From 21 August 1858, her married name became Dunbar. From 27 January 1886, her married name became Graham.